Yingjie Peng is born in the Sichuan province in the southwest of China, near Tibet. Being ranked first in his city in the national evaluation, he was admitted by Beijing Normal University to study astrophysics as an undergraduate student. During this study, he spent one year in Tokyo Gakugei University in Japan to study Japanese history and culture. From 2005 to 2007, he was awarded the prestigious Erasmus Mundus Fellowship from European Commission to join the double-master degree program, studying Space Technology at Julius Maximilian University of Würzburg in Germany, Luleå University of Technology in Sweden, and astrophysics at the university Paul Sabatier Toulouse III in France. Then he joined the PhD program in observational cosmology at ETH Zurich in 2007 under the supervision of Prof. Simon Lilly, and obtained his PhD in 2013. He was awa rded t h e ETH Meda l f o r h i s outstanding PhD Thesis. He then moved to the UK as a research associate at Cavendish Laboratory, University of Cambridge and was awarded the prestigious Royal Astronomical Society Research Fellowship in 2015 for his high-impact research in observational cosmology. In October 2015, he moved from Cambridge to Beijing, China, joining the Kavli Institute for Astronomy and Astrophysics at Peking University, as a tenure-track Assistant Professor. 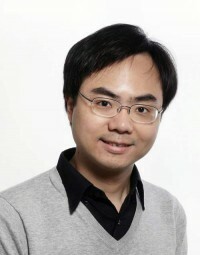 Yingjie Pengʼs PhD thesis focused on the analysis of high quality data from large sky surveys both locally and at high redshift, and introduced a novel phenomenological, observationally-based approach to study the formation and evolution of the galaxy population. The goal was to use the observational material as directly as possible in order to identify the simplest empirical "laws" for the evolution of the population. This approach has successfully explained the origin of the Schechter form of the stellar mass function and reproduced many observed essential features of the evolving galaxy population over cosmic time. The associated papers (Peng et al. 2010 & 2012) describing this simple and innovative approach have become some of the most highly cited papers in galaxy formation and evolution. The PhD thesis of Yingjie Peng was carried out at the Institute for Astronomy at ETH Zurich, Switzerland between October 2007 and September 2012, under the supervision of Prof. Simon Lilly.